The countries of Aruba and Curaçao may evoke paradise like sceneries and fun-filled holidays but in the world of missosology, these are the countries where the next best surprise will come from. Think about Annemarie Braafheid, Taryn Mansell and Zizi Lee. All of these three fabulous beauty queens are from what was known as Netherlands Antilles and all of them nearly made history. To understand Aruba and Curaçao, it is important to brush ourselves with a little bit of geopolitics. These two islands in the Caribbean are separate countries but not independent and are part of the Kingdom of the Netherlands. Their status is similar to the status of Scotland within the United Kingdom. Thus, while both are technically Netherlands, they are still represented in various international competitions including beauty pageants. The first big break for the Netherlands Antilles happened as the 60s was about to end. Annemarie Braafheid was Curaçao’s representative to Miss Universe 1968 pageant and she almost snatched the title of being the first black Miss Universe. Alas, she lost to the behemoth nation of Brazil. So, imagine being the representative of tiny island placing second to a very large and powerful nation. Interesting isn’t it? Taryn Mansell competed at Miss Universe 1996 representing Aruba. She too had her David vs. Goliath moment when she was one of the last two standing contestants and she was up against the candidate of the beauty superpower nation of Venezuela! Like Annemarie, Taryn came a little bit short in her road towards the crown. But knowing what we knew by now, many analysts say Taryn could had been a better choice to wear the crown and earn the title of Miss Universe 1996! Zizi Lee meanwhile exceeded all expectations when she competed as Miss Aruba at the Miss World 2001 pageant. Her odds finishing way past the Top 10 was quite small. However, she finished as first runner-up to the first ever black African to win the Miss World crown. And the pageant was being held in the African continent! So really, Zizi had her own walls to scale during that pageant! So what made these beauty queens excel despite being from small and sparsely populated nations? Well first and foremost, Aruban and Antillianen (as people from Curaçao are called) beauty queens can leave quite an indelible impression. Case of the point is Maureen Ava Vieira who represented Aruba at Miss Universe 1974. Most Filipinos in their 50s and 60s can still recall her name – a charming, beautiful and curvy Miss Universe contestants who won a lot of hearts. The same can be said about Verna Vasquez when she competed at Miss Universe 1996. As Miss Curaçao, she is well remembered as one of the most sophisticated Miss Universe delegates to ever land at the Top 6! The second reason can be best explained by looking at the language of both Aruba and Curaçao. Called as Papiamentu, the language was derived from African and Portuguese languages with some influences from American Indian languages, English, Dutch and Spanish. Indeed, Aruba and Curaçao are very diverse nations such that its racial make-up, like its language, is an amalgam of races from different continents. 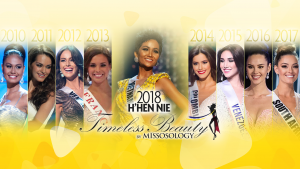 Thus, a Miss Aruba or a Miss Curaçao is usually an exotic, mixed-race beauty and this has become a very huge advantage. 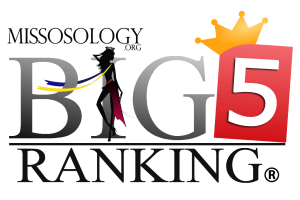 While it is true that Aruba and Curaçao are ranked somewhere in the midrange of Big4 Ranking (soon to be Big5 Ranking) with Curaçao at 66th and Aruba at 58th, their capability to land so near to the crown means they have what it takes to win a major title soon. 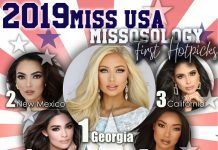 Their capacity to surprise and exceed expectations is pretty much remarkable and it would indeed be great to see a Miss Aruba or a Miss Curaçao win a Big5 title in the next few years.